There is no good age for anyone to get a sunburn. But there’s no worse age to get one than during our infant-to-young adult years. 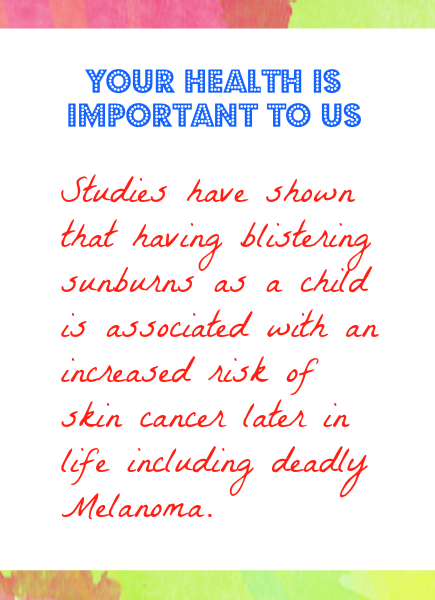 Sunburns sustained during childhood and adolescence can come back years, or decades, later as skin cancer. Or even worse, Melanoma. There’s no such thing as a “mild sunburn”; only various levels of sun skin damage caused by the sun’s harmful UV rays. Even after the sunburn has “healed”, our DNA will never forget it. Teaching children early about the dangerous impact of UV rays is imperative for multiple reasons. Not only does it start protecting them from their youngest ages, but also it will, hopefully, get them into a lifelong habit of taking care of their skin. When learning math, it’s fairly useless to know a correct answer without being taught (or having any idea of) how it was arrived at. With sun-safety the principle is similar. It’s very useful to know the “whys” to better protect ourselves. It is the UV rays that cause the damage, and they’re around even when we may think they’re not. That includes during cloudy or highly overcast days, rain, sleet, snow, freezing temperatures and, of course, bright clear sunny days. At some point during your lives, you’ve almost certainly spent time outdoors during a very gray, gloomy weather day. And then later, discovered a sunburn you hadn’t expected. UV rays have no problems at all penetrating cloud cover to reach us. 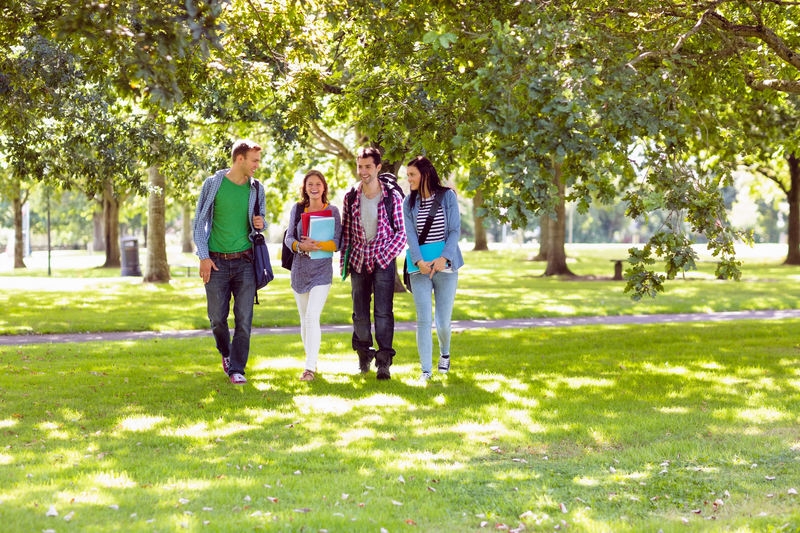 Apply, or let your student apply, sunscreen before leaving for school. Then send the bottle with them so they can re-apply the sunscreen throughout the day. Re-application is just as key as the initial application. And it’s particularly relevant if he or she has a regularly scheduled outdoor recess, or a regular classroom seat near a window. Encourage them to wear hats and find shade, when possible, whenever they’re outside. Making these few simple tasks part of a student’s regular routine can make a world of difference to their health.